So how the heck are you guys doing it? Google Maps and Virtual Earth have so much distortion up there (or down there as the case may be) that mapping is very difficult. 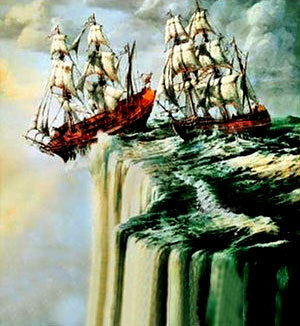 Plus what happens when they navigate off the edge of the map? 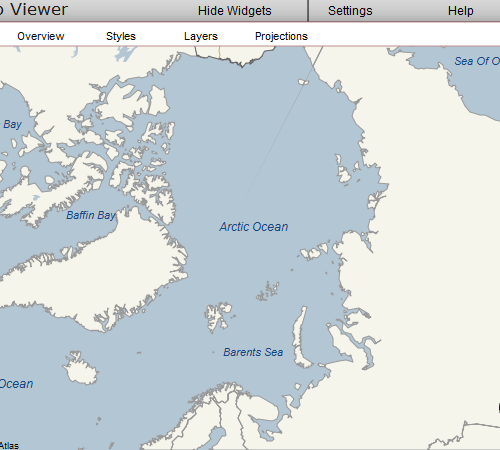 Anyway the closest thing I’ve found with decent polar projections is the ArcWeb SVG Map Viewer which allows you to dynamically change the projection, but I haven’t heard too much from ESRI on the SVG viewer so it might have been abandoned (I don’t see it anywhere on the ArcWeb Labs site). What are people doing for mapping on the poles if you want to create a web based map product for a client who is working in the Arctic and Antarctic? Update: I should say I’m looking for hosted web maps services. Using my own IMS server or relying on one that isn’t hosted in a good environment isn’t an option. On another note, I like where the ArcWeb team has taken ArcWeb Explorer. The new (well new to me) ArcWeb Explorer 4.0 is slick. Might have to stop by the ArcWeb teams island at the DevSummit and see where they are taking this thing.